Today in 1991, Tim Hardaway had the worst shooting performance in NBA history. Even John Starks’ 1994 Game 7 Finals performance was better. 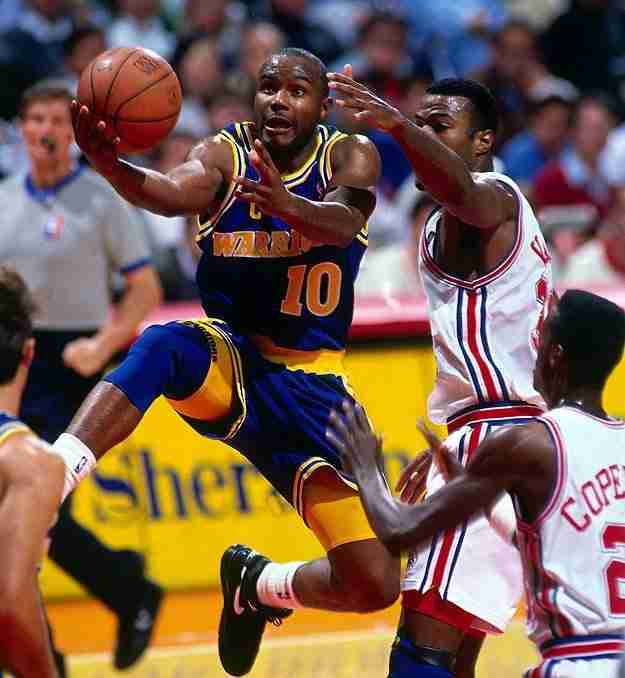 But in ’91, this was young Hardaway, one of the quickest players in the league, the proprietor of the “Killer Crossover” that was unguardable in the time prior to the NBA allowing zone defense. He was shooting 47% during his third year in the league when this game occurred. From this era, you could easily envision a guy like “Mad Max” Vernon Maxwell or another three point gunner having an 0-17 game. But Hardaway was never one for frivolous shots. Even though he only scored two points (on free throws) in the game, he dished out 13 assists, several of which went to a hot-shooting Chris Mullin who went 15 of 24 while pouring in a game high 36 points. But in 44 minutes I’m just amazed he couldn’t get an easy layup while taking Scott Brooks or Pooh Richardson to the cup. But “Tim Bug” doesn’t want you to remember him for one game he played 21 years ago right now. He wants you to remember that he reached 5,000 points and 2,500 assists faster than every player in NBA history, other than Oscar Robertson. He’d also prefer that you think of the season he had in 1991-92 (the same year as the abysmal 0 for 17 shooting game), where he became the seventh player in NBA history to average 20+ ppg and 10+ apg in the same season. Even great players can have a bad game. Who in today’s NBA can you see challenging Hardaway’s record this year?